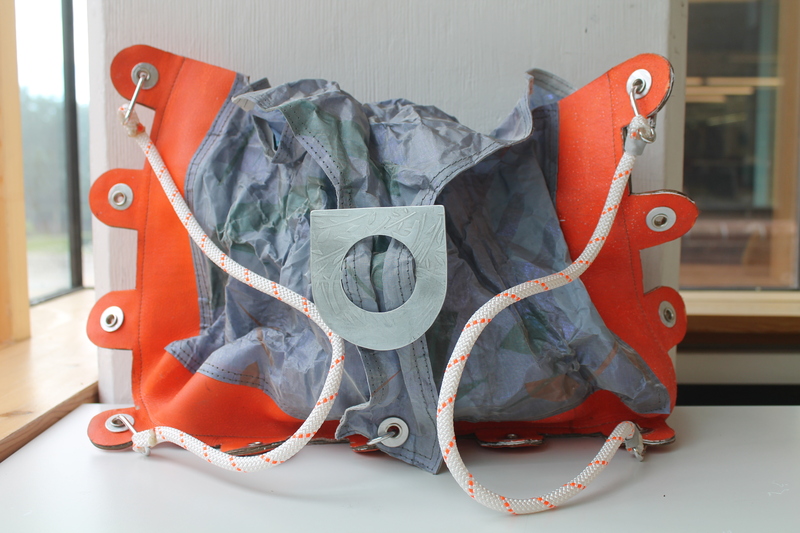 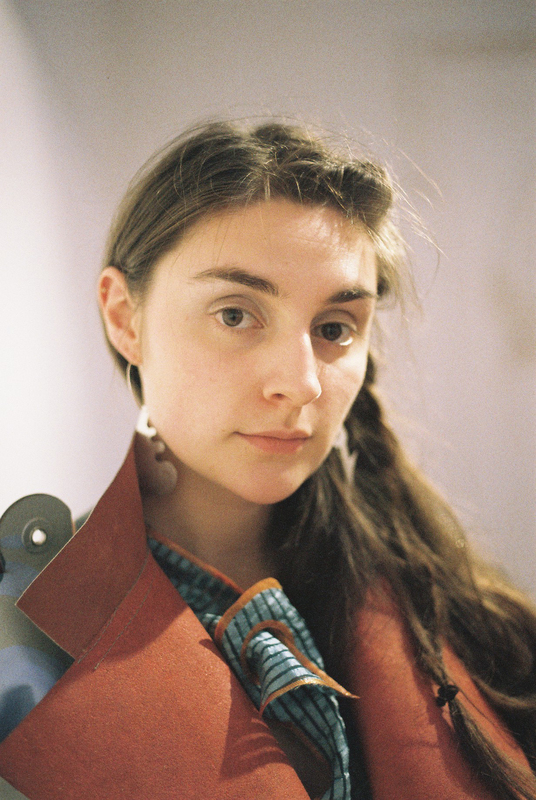 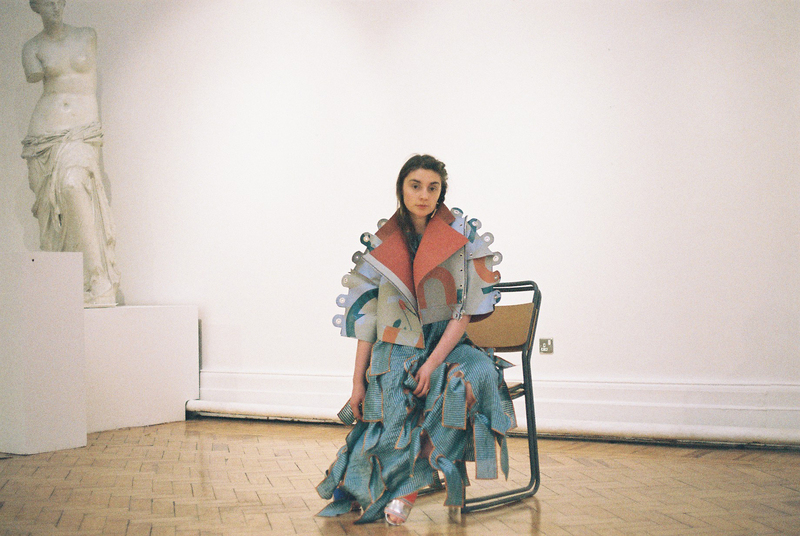 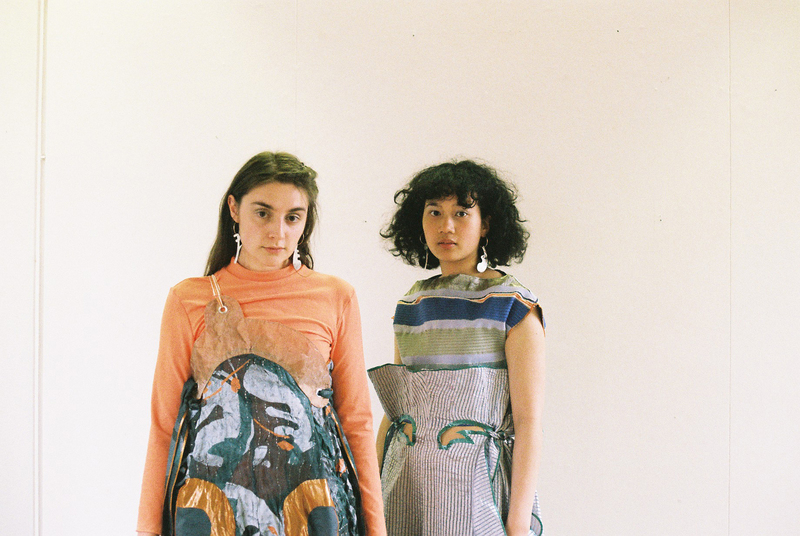 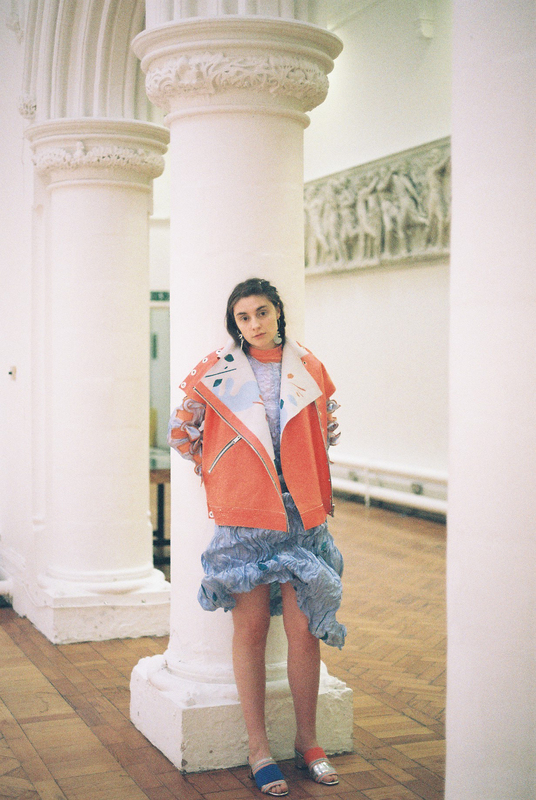 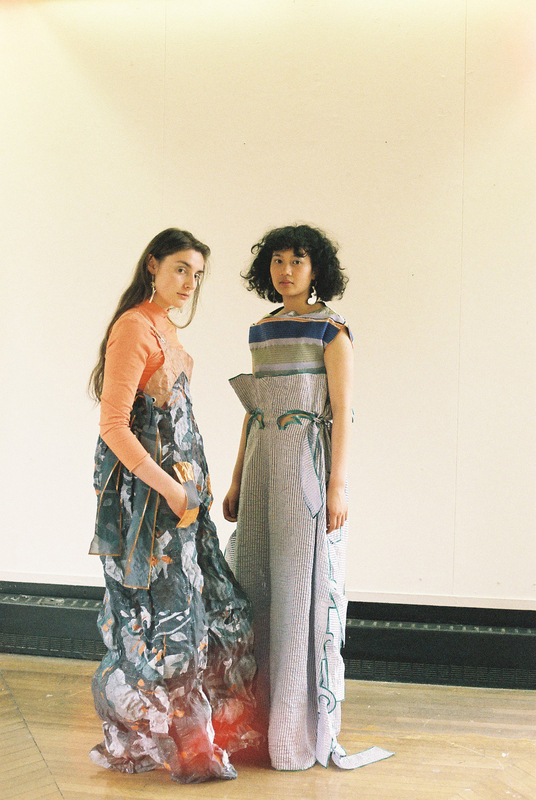 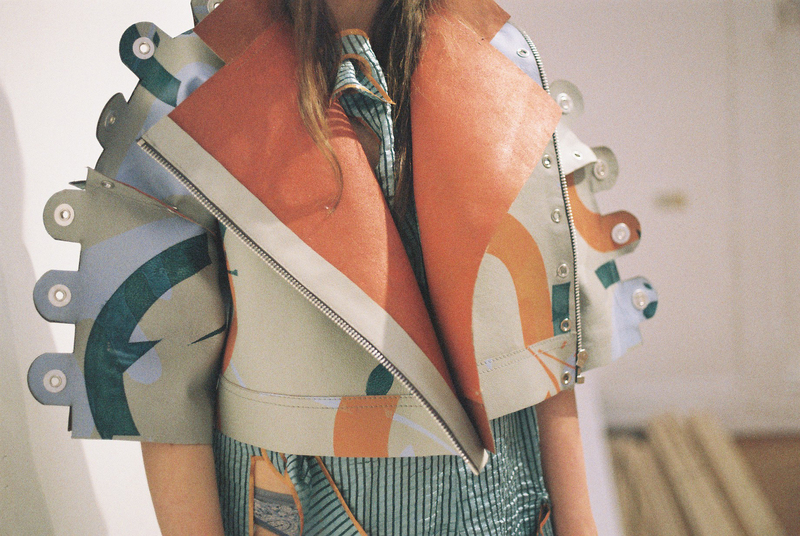 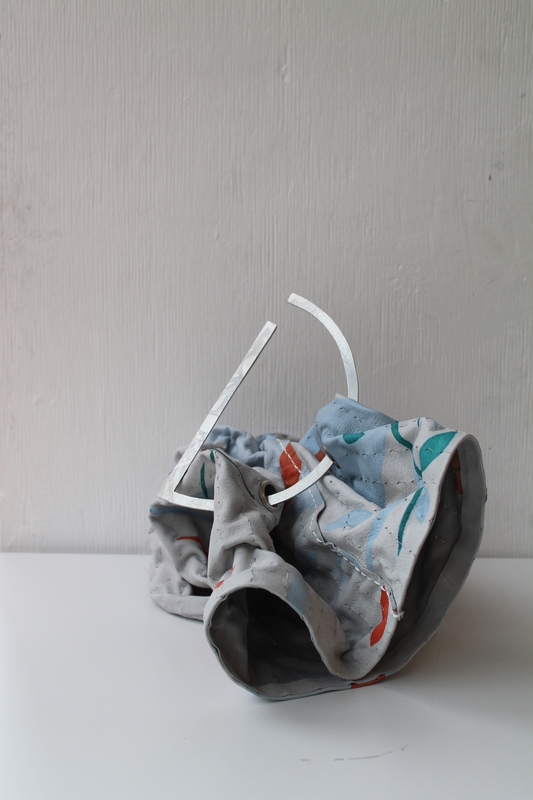 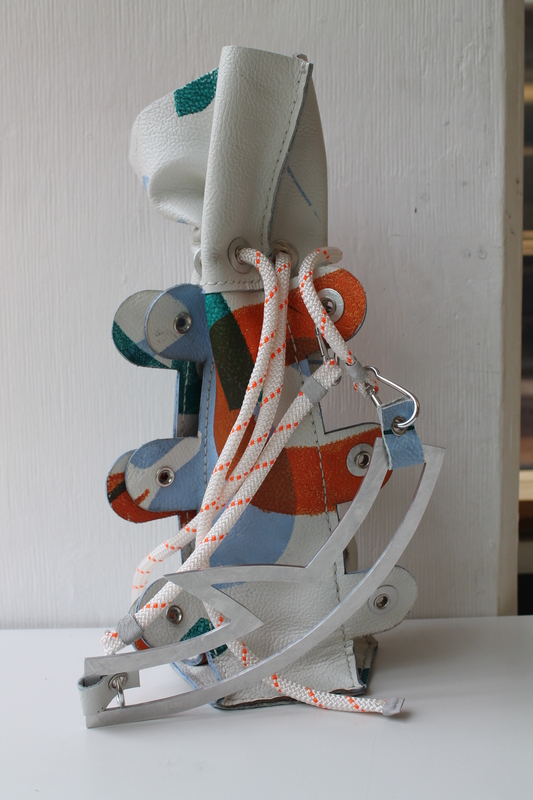 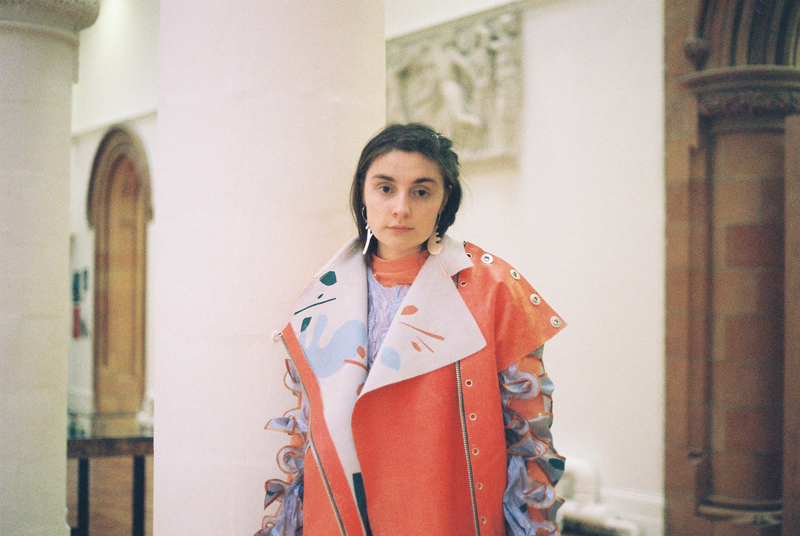 During my final year I worked on a collaboration with fashion student Emily Gubbay. 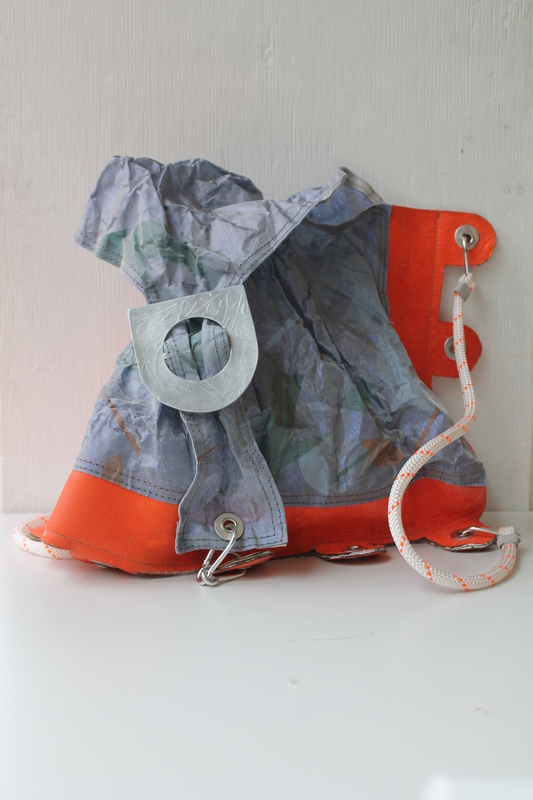 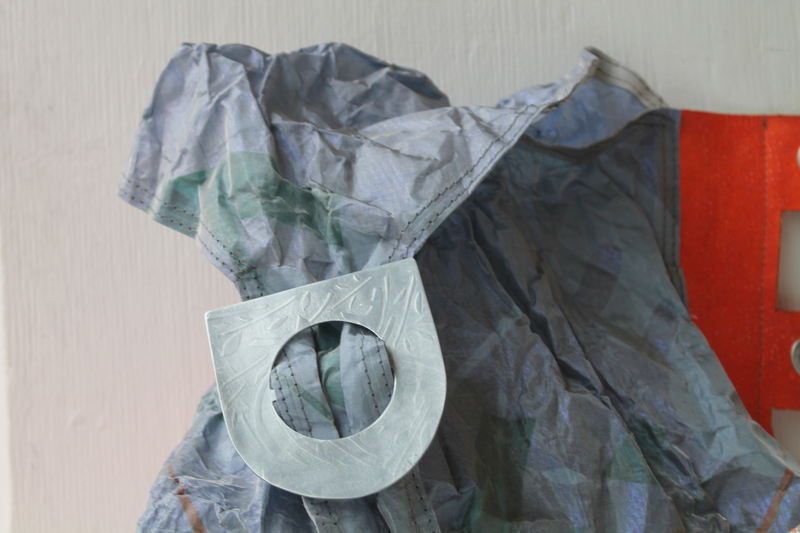 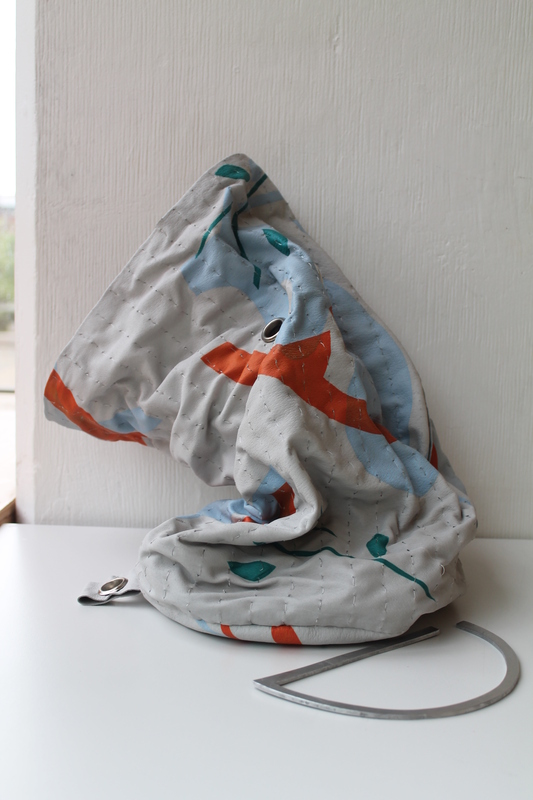 As part of this I made aluminium washers rolled with prints inspired by those in Emily’s collection that were then used as decoration on her jackets and bags. 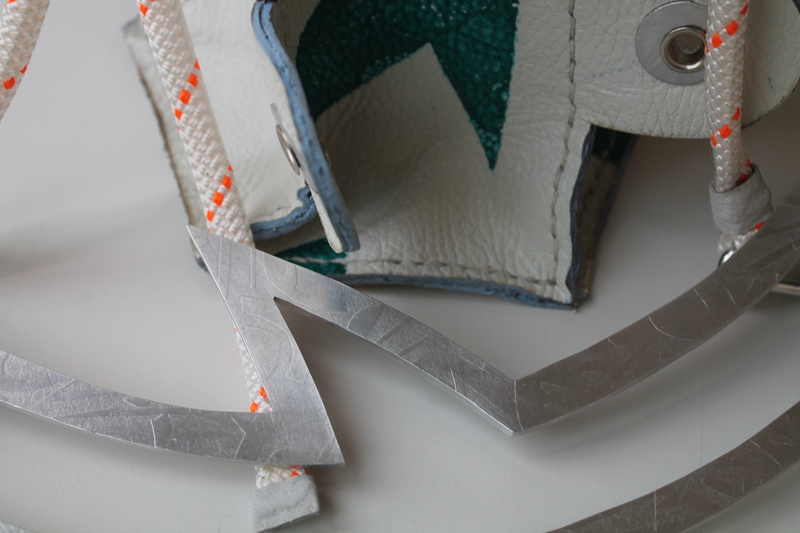 I also made bag handles that had similar patterns rolled onto the surface. 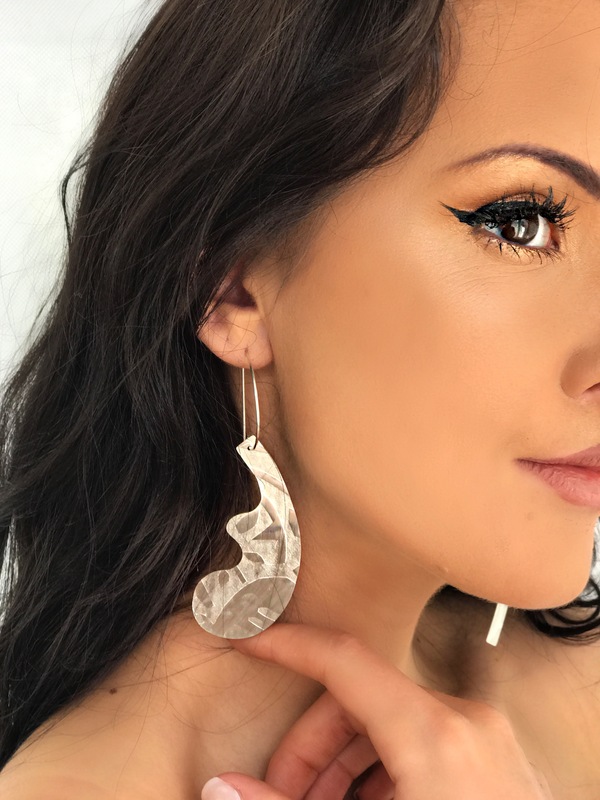 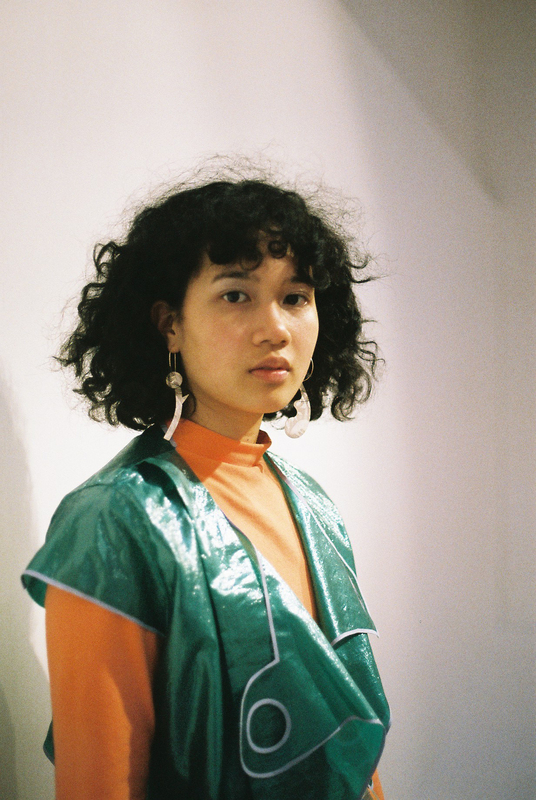 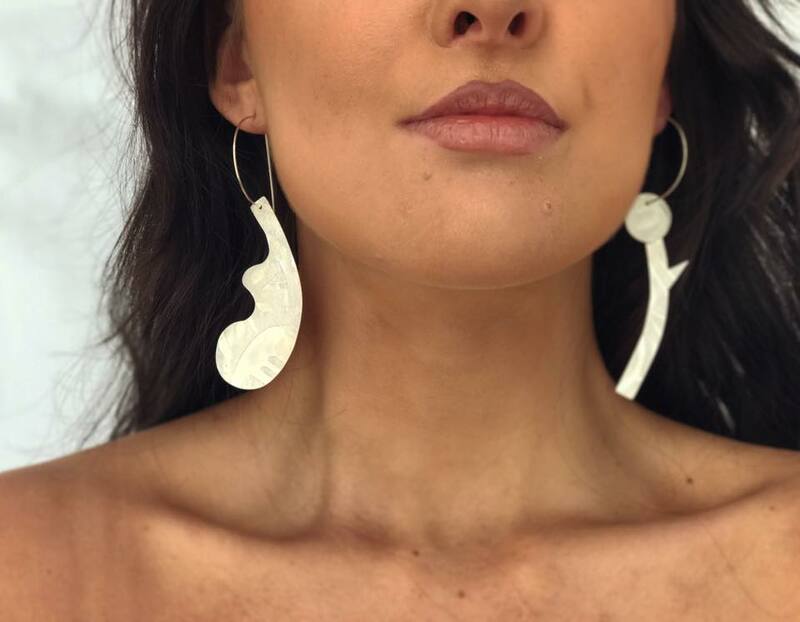 I made six pairs of silver earrings to accompany her six outfits; the patterns rolled into these and the shapes of each silver piece reflect the print used throughout her collection.